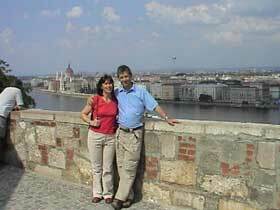 Linda and I arrived at Budapest airport in the early hours of Sunday morning and stayed that night at the home of Ellel East's Hungarian Director - a delightful Godly man who is also the Pastor of a local church. I was the speaker at his church that afternoon where the service ran from 4.30pm to 7pm with two hours of ministry at the front afterwards. We were then driven to the Ellel East base at Ur Retje where we were to stay for the next two days. 'The Father-heart of God' - A selected group of around 20 people were invited to make up an audience for the filming of the Father-heart of God course at the beautiful Ur Retje base. This is a life changing two day course, and the film will be sent to various eastern European countries where it will be shown at meetings where Ellel ministry team will oversee the ministry time that follows the completion of the course. Although the audience was a token audience for film purposes the teaching still had a powerful effect and the majority of those present went forward for ministry after the filming had ended. 'Men of God' - a three evening course (6pm - 9pm) held in Hungary's main Pentecostal Church. The course was for men but wives were invited. Approximately 100 - 120 came each evening and all sessions were filmed. The first evening's teaching allowed a bridge to be built and for the people to tune into to my style of presentation. The second evening included a teaching on the Father heart of God which led to ministry time and the third evening was a challenge to true discipleship. Many men stood to recommit their lives to Jesus in a new or deeper way. God's Presence was very real. 'Walking with God' - A one day conference held in a magnificent music school hall in Budapest. 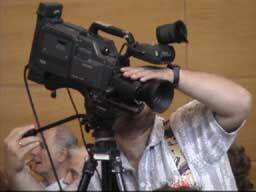 Some 200 attended and again the four sessions were filmed for future use in the eastern European countries. The teaching dealt with the journey from Egypt to the Promised land and the spiritual equivalent of the journey from our unsaved days in the world to the land of promises and what the time spent in the wilderness is intended to achieve. Much to our surprise the applause at the end grew and eventually turned to 'coordinated clapping' which we were later told was the highest form of applause that Hungarians can give. In our free time the Ellel East team went out of their way to show us the magnificent city of Budapest and the beautiful surrounding countryside. 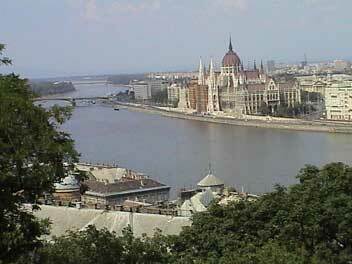 Hungary is Europe's best kept secret. Linda and I loved every minute of it! We are very grateful to Otto and Sharon Bixler, the executive directors of Ellel East for inviting us and allowing us to share their home for several days.